This story is sponsored by Sprint. PhoneArena's opinions in this article have not been affected in any way! With the summer over, and the fall in full swing, it’s about time to start thinking about those Holiday season presents. Sure, it might be a bit in advance, but if you are in store for the latest and greatest technology as a gift, research would definitely help. Luckily, this Holiday, you won’t have a shortage of options to choose from. If you are ready to become the geeky Santa Claus with gadgets in your gift bag, the good news is that this time there will be worthy smartphones on all three biggest platforms: iOS, Android and Windows Phone. While in 2011 we still didn’t have a completely mature smartphone ecosystem and we could still see flaws. Now, in 2012, we finally got rid of lag on Android, Microsoft polished Windows Phone 8, and the iPhone got even better. Android has almost closed the app gap with the App Store, and Windows Phone is starting to catch up too. But what you should really care about is the all-around products, devices that are both aesthetically pleasing and crazy fast. We’ve picked out the best for the U.S. carriers and international in the slideshows below. So not getting a GS3, way better phones are coming out BTW, have any of u seen the GN 2?!?!? It's as big as my FACE!!!!! I never thought a phone would be that large It just needs . 7 inches and it'd be a tablet. I think it's only available at sprint It is SO AWESOME!!!!!!!!!!!!!!!!!!!!!!!!!!!!!!!!!!!!!!!!!!!​!!!!!!!!!!!!!!!!!!!!!!!!! Wow, they re-posted the same story from two weeks ago but, now they've included the disclaimer that, "This story is sponsored by Sprint. PhoneArena's opinions in this article have not been affected in any way!" Yes PhoneArena, we know, you're still iBiased and love Apple; that will never change or be 'affected in any way'. Funny, my holiday list is going to contain Windows RT/Pro or Transformer Infinity and International version of the HTC 5" 1080p So none of the above in the slideshow. Amen, I was looking for the rest of the Nexus that are coming out from other manufacturers... The news on them pretty much died out. The LG Nexus doesn't impress me one bit. plz Santa, no new iPad this year....????? Totally agree, SAMOLED+ is the way to go. The timing of these wish lists is puzzling, with Apple, Microsoft and Google having some major events and officially outing some new tech goodies in the next few days. For me, that's the biggest disappointment with the cancelled Google event. I was hoping to see a lineup of Nexus phones, not just the N4. So far I'm planning on getting the N4, but I was hoping for a Samsung 5" screen Nexus. I can't believe the IP5 is tops on both the VZW list and the ATT list. It's not the best piece of hardware out there. Doesn't have to b the best, it's just the most wanted. Being the best is subjective. Lumia 810 for T-Mobile is missing. It's like they said this list is way too early and sponsored by Sprint, which has no more phones to put out. It seems like this article was released a little prematurely. In a little over a week we'll have all the info we'll need on the new line of Nexus devices, as well as how well MS's surface and Windows 8 in general works. Heck, PA could've held off on this article for at least 24 hours to let Apple get its iPad Mini word in edgewise. For AT&T you are showing a picture of the 820 for the 920. Spend some (too much) money perhaps. What? You want devices this Christmas or the next? 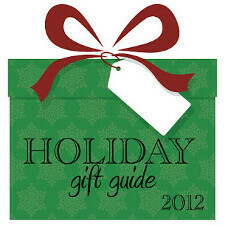 how come Galaxy SIII and Note 10.1 are both missing on the International 2012 Holiday smartphone and tablet gift guide? Also, why is Surface missing on the international list? is Apple iPad the only tablet option? Too bad I couldn't edit my previous comment.